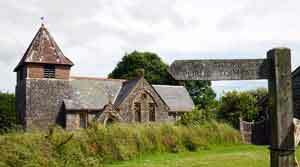 The area around Witheridge is mainly farmland with large rolling fields. This pleasant rural walk explores the hidden and more secluded areas,the woodlands and streams tucked between the ridges. 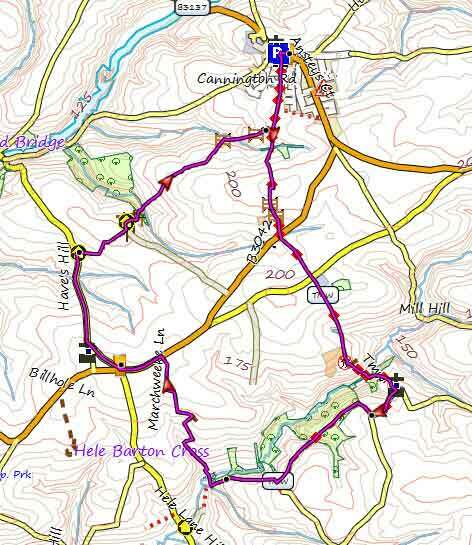 It follows theTarka Trail from the town centre to Washford Pyne and beyond . It returns via an old woodland then climbs steadily although the path's are not clear - a gps will be very handy. There are 2 styles near a farmyard fairly close together. You cross the first but NOT the second (the Tarka trail continues across) but follow the route with the fence on your LEFT. You now enter a most secluded area full of butterflies and wild flowers. Find ! and cross the footbridge,then continue until the B3042. Caution :There is a 5 minute stretch along this B road. Follow the B road until the welcoming ? sign of the Thelbridge Cross Inn. Turn right until you see a footpath sign where the route joins the Little Dart Ridge and Valley Walk with splendid wide views along its way.